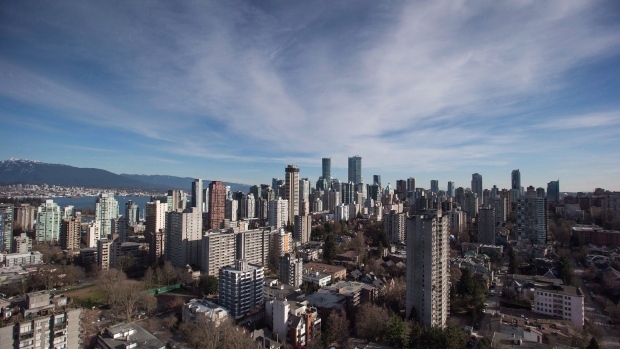 VANCOUVER — A proposal that would give cities in British Columbia the power to zone land for rental housing could moderate the price of affected properties, experts say. Port Coquitlam Mayor Greg Moore, who led a committee on housing strategy for the Union of B.C. Municipalities, said the legislation tabled last month by the provincial government would give cities the authority to protect existing rental properties and calm speculation. Currently, older properties in areas that are slated for higher density are attractive to buyers who want to make a significant profit because they can be turned into high-earning condominiums or houses for sale, he said. "They're trying to sell the potential in the increased value. And that increased value doesn't allow for rental to make financial sense," Moore said, adding the return on rental housing in the short term isn't as great as units that are sold to individual buyers. Cameron Muir, chief economist with the B.C. Real Estate Association, said rental housing gets "crowded out" for other uses, which is often ownership-type properties that offer revenue for developers even as land prices rise. "If you're going to build any kind of development, you start off with what the end product is going to be and what the market can bear and then you work yourself back from all the costs and the residual value is in the land," he said. "If it's zoned rental only, of course the value will increase — but it will only be limited to the sphere of the rental market." Brian McCauley, president and CEO of Concert Properties, agreed the legislation would impact property prices, but added it isn't necessarily an incentive for developers to build more rental. Concert has just under 5,000 rental units across B.C. and Ontario, and plans to develop more. Examples of better incentives include support from the province or federal government to finance new developments, McCauley said. "You can't get as high of a financing rate so you are investing more capital in building a rental apartment building," he said. For Concert, McCauley said financial gains are sought by increasing and maintaining a large portfolio of rental housing. Funding that's becoming available through the federal government's new national housing strategy and B.C. 's promise for $6 billion toward housing development are also intriguing opportunities, McCauley said. Cities can also create incentives by increasing density for new rental units but Moore said those opportunities come along only when a developer wants to rezone or change the designated use of the land. Despite record housing starts in many communities, Moore said a continuing shortage of rental housing illustrates why cities need more financial and regulatory authority. "As a city or as a developer, if you can pull all these [incentives] together, you can start to make rental and non-market rental a viable thing to build," Moore said. Muir said rental-only zoning is a good policy, but cautioned that it will be up to municipalities on how it is used and any new homes will still take years to be planned and built.